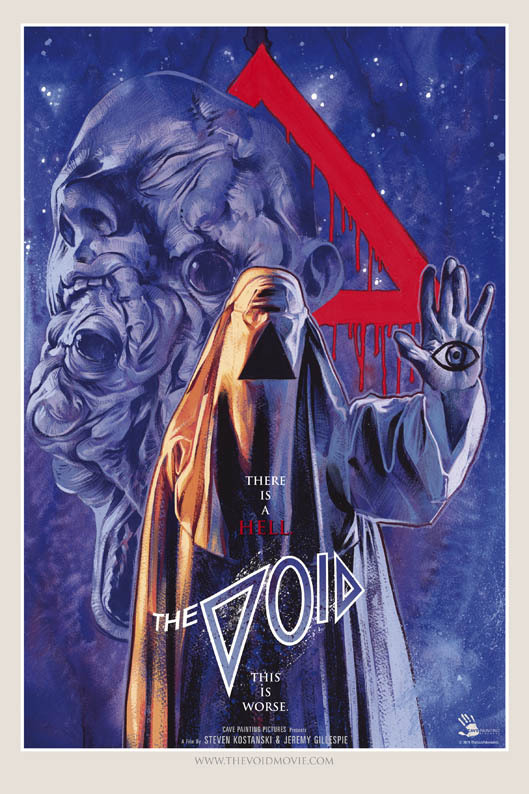 This is an article from 2015 and only assesses the short film that was used to crowd-fund the making of the feature length film: The Void (2016). 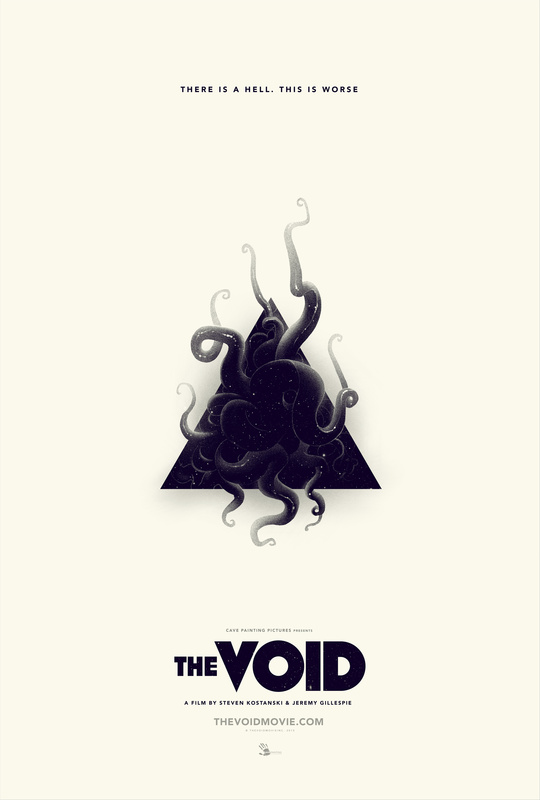 CLICK HERE to read the full review of The Void (2016). 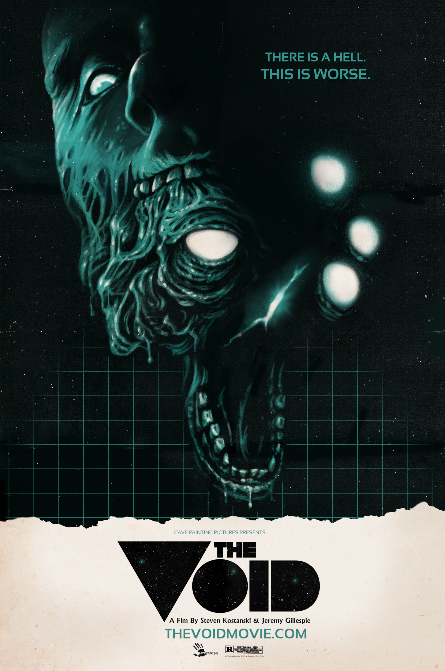 So, there’s a new concept trailer for a horror movie that is so fresh you won’t even find it on IMDB yet from the writer/director team Steven Kostanski and Jeremy Gillespie, the guys who made Manborg (2011) and ABCs of Death 2‘s “W is for Wish” (2014)….which was probably the most balls-off-the-wall bonkers short film of the anthology. Remember the short with the kids playing with some “Castle Greyskull” looking toy set and action figures who are then magically transported into that fantasy/horror world? Yeah, that was the one. The scenes they have shot utilize beautiful camera work with creepy imagery. Words that come to mind are dark, creepy, gory, gross, atmospheric, Lovecraftian and tentacular! I am normally not keen on supporting crowd-funded indie projects, but the work they’ve shown me in the trailer has me excited. So today I’m making an exception! This looks fantastic, but $75 for a physical copy of the film is far too steep for me. Shame, really, hope it reaches it’s target still. It is. But fanatics of all things Lovecraft will hopefully will hopefully step up. Those that can’t afford to contribute (like me) will hopefully show their support on their websites (like me). That’s very true. I hope it does get made, and I’ll be first in line for a copy! Me, too. I dropped this on Reddit with high hopes for the project.